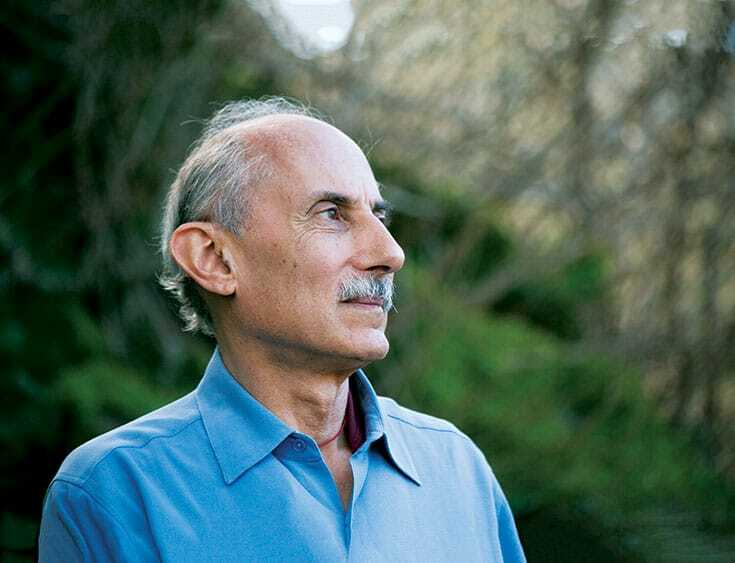 Jack Kornfield, one of the leading Buddhist teachers of our time, talks to Melvin McLeod about the hopeful message in his new book: we can have joy and freedom — right here, right now. 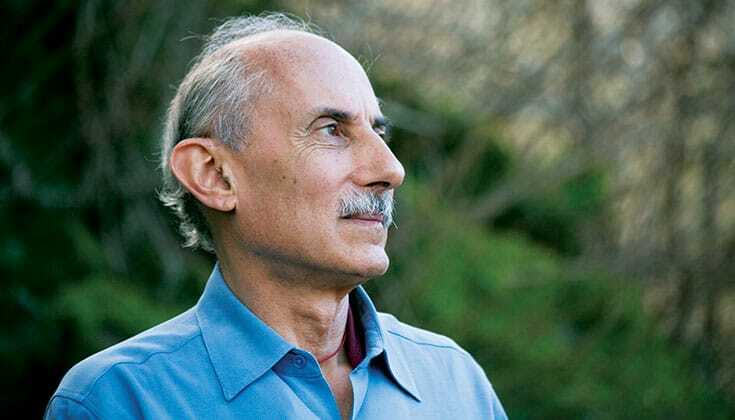 Jack Kornfield. Photo by Stacy Evett-Miller. Over the decades, your teachings have tracked and helped lead the evolution of Buddhism in the West. 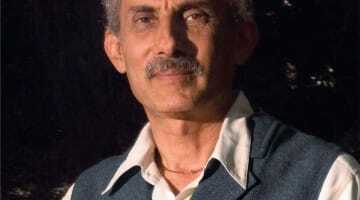 You have undertaken intense traditional practice, integrated the insights of Western psychology into Buddhism, and led Buddhism’s emergence into the American mainstream. What is your message at this stage on your path? 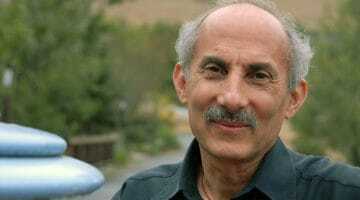 Jack Kornfield: We are living in difficult and uncertain times. Without care, the cultural fears can take over our hearts. While we need to be able to respond with courage and compassion to the sorrows of the world, the wise heart can be free wherever we are. When you turn directly toward your own true nature, you discover that your spirit, your consciousness, is always free. With that discovery comes a wellbeing that manifests as joy, which the Buddhist texts declare is a necessary dimension of an awakened heart and mind. Live in joy, live in compassion, and live in love, no matter where you are, instructs the Buddha. To remember that this is possible for you is an essential step on the path to joy and freedom. Why is this your message now? Over my years of teaching, I’ve seen many people get caught up in the idea of developmental practice, with awakening as the goal. After long years of different trainings, they forget that the possibility of freedom is here in any moment. They forget that where they’re going is right where they are. When we meet life with a fearless and joyful heart, it transforms our relationship with everything. So I and my colleagues shifted our emphasis away from the ascetic, effortful style we learned in traditional monasteries and zendos. 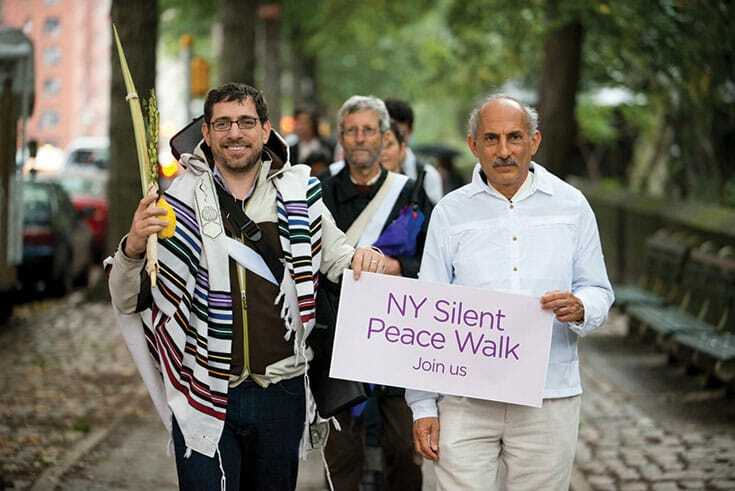 Seeing the pervasive suffering of striving, attachment, and self-judgment in the West, we decided to emphasize loving-kindness, compassion, and joy—especially love and joy within oneself and deep compassion for our common humanity. This has helped people lighten their load. It’s brought well-being into their bodies and minds, and a sense of inner freedom they can experience and offer to others. This requires a kind of tenderness toward ourselves and all life, seeing the possibilities in everyone we meet. When we meet life with a fearless and joyful heart, it transforms our relationship with everything. Have Buddhists in the West perhaps misinterpreted the teachings in ways that reinforce their tendencies toward depression, stress, or self-criticism? We see that commonly. Ambition, self-criticism, shame, self-judgment, and so forth are rife in our culture. For many people, that shows up in their spiritual practice, which becomes either a grim duty or a way to try to improve themselves. They become uptight or rigid in their practice. The point of these practices is not to perfect ourselves. We’ve all been going to the gym, changing our diet, going to therapy, doing different kinds of meditation, and so forth. These help us some, but we’re still sort of the same weird person as when we started, with the same personality. The aim of dharma practice is to experience a sense of freedom and joy where we are. Now, this doesn’t mean there are no hard times in practice or in life. There are inevitably hard times in which we face our deepest fears and confusions, our pain and demons. We have to tend and heal the traumas and sorrows that human life brings us with compassion. But this is not a grim duty. It’s a step-by-step journey of freedom and liberation. There is a mudita [sympathetic joy] practice in which you look at another person and you try to picture their happiest moment as a child, laughing and running and playing. You see that there’s an inviolable spirit in them that cannot be touched by the traumas and the sorrows of life. When you see that, your own joyful spirit connects with that dimension in them. It’s a beautiful thing! When you see someone with the eyes of joy, with so much tenderness and compassion as well, you want them to flower; you want the best to come out of them. As Nelson Mandela said, even with difficult people, it never hurts to think the best of them. They often act better because of it. To be able to see the original innocence and goodness born in everyone, and to foster that as you move through the world, is a kind of blessing. But you have to recognize it and be willing to dance with it in yourself, to celebrate and allow it to blossom in your own life. Many of us find it hard to allow ourselves to be happy. Deep down, we may feel we don’t deserve happiness, or that being joyful is selfish and a violation of our obligation to put others first. We may feel it’s not right to be happy when there is so much suffering in the world. The Puritan ethic and sense of original sin underlying much of our cultural history can feed into this. What’s beautiful to discover in meditation practice is that this painful cultural conditioning is not true. There’s a fundamental goodness—you could call it our true nature or buddhanature—that’s our inviolable birthright. The circle of compassion is not complete if one person is left out. You know who that person is? Yourself. As the Buddha said, you can search the entire tenfold universe and not find a single being more worthy of love than the one seated in your own home—you. As in so many things, the dharma has to turn our conditioned notions about our own happiness upside down. The free heart is one that can experience joy and well-being and then extend it to others—that is part of the role of the bodhisattva in serving the world. I think that one of the main reasons people go to the Dalai Lama’s teachings is to hear him laugh. That someone who carries the tragedies of Tibet and the world can still laugh gives us hope. The notion that being happy is a betrayal of a true spiritual unfolding is the opposite of what is really true. What we’ve found over the years is that depression and self-negation don’t help you or anybody else. If you go into a difficult situation, bringing your own depression and fears doesn’t help anyone. But if you can bring not only a clear spirit but a positive one—which includes a joyful heart—that becomes an inspiration and source of liberation for all around you. From some point of view, the step-by-step approach to practice seems easier: follow the formula and eventually you’ll have success. Being free and joyful on the spot seems more mysterious—like taking a leap instead of following a plan. The practices of loving-kindness, of common humanity, of deep compassion and self-compassion, are as transformative to the heart as anything we can do. And with them in the mandala of the awakened heart is the practice of joy. There’s a beautiful section in the Dhammapada in which the Buddha says, Live in joy and freedom, even amongst those who are sick or troubled. Live in joy and a peaceful heart, even among those in conflict. Quiet the mind and heart and find the sweet joy of living in the dharma. Who you are is consciousness itself, the pure awareness that is able to hold and express love in any circumstance. This is the Buddha’s instruction to us. What it requires is a little bit of a soul-searching, to use a non-Buddhist term—to look at what you really believe about yourself. Am I worthy of well-being and joy? Am I worthy of happiness? The beautiful truth is that joy and freedom are your true nature. This discovery is one of the most wonderful gifts that you can bring into the world. Of course, with your joy you also bring your tears, because both the unbearable beauty and the ocean of tears that make up human incarnation will present themselves to an awakened heart. So at times you weep. Then you reach your hands out in spontaneous compassion to do what you can to alleviate the sorrows of others. But you will not allow that to be the end of the story. You won’t let the suffering paralyze your heart. Normally we are too loyal to our suffering, but you realize that who you are is so much bigger than what has happened to you in the past. Who you are is consciousness itself, the pure awareness that is able to hold and express love in any circumstance. Your own background is in the Vipassana teachings of Theravada Buddhism, but when you talk about fundamental goodness, buddhanature, and a fruitional approach, you sound more like a Mahayana or even Vajrayana Buddhist. I’m glad you asked that, Melvin, because that is a common delusion. [Laughter] The different Buddhist traditions actually don’t understand each other very well, because they’ve been separate for thousands of years. The principles I’m talking about are an integral part of the Theravada teachings. The great master Ajahn Chah taught about what he called original mind—the true, undying nature of consciousness. Various good and bad experiences happen to us. The point is, to whom do these experiences happen? It’s only when you turn your attention back to the one who knows, and the knowing itself, that liberation is possible. Then you discover the pure consciousness or pure awareness, the original mind, which is the witness of all these experiences. Because this is the nature of consciousness itself—this is who you are. As Sri Nisargadatta said, “Wisdom says that I am nothing. Love says that I am everything. Between these two, my life flows.” The deep teachings on emptiness in the Heart and Diamond sutras, are the same as the Theravada teachings in the Dhammapada, which liken the ephemeral nature of reality to a flash of lightning, an echo, a rainbow, or dream. At the same time, love says I am everything. As we become wise, and the heart becomes free, we become able to hold the paradox of life: that there’s a dimension of absolute freedom to consciousness, which at the same time is born into this body that we will leave at the time of our physical death. We know this when we look into the mirror and see that our body has aged, but we have the strange experience that we don’t necessarily feel older. That’s because the consciousness that’s witnessing the body is not the same as the body. You can see the arc of the physical life of human incarnation, but the witnessing of it is outside of time. This is the original mind. It is the nature of consciousness, and it’s always available to us. In your book, you tell the very moving story of a young girl with leukemia who says to her mother, “I don’t know how long I’m going to live, but I want them to be happy days.” This is something all of us could and should say. This goes right to the heart of the question: what will I do? We don’t know how much time we have. That’s the great mystery. So what will we do with our time, however long it is, in this human incarnation? 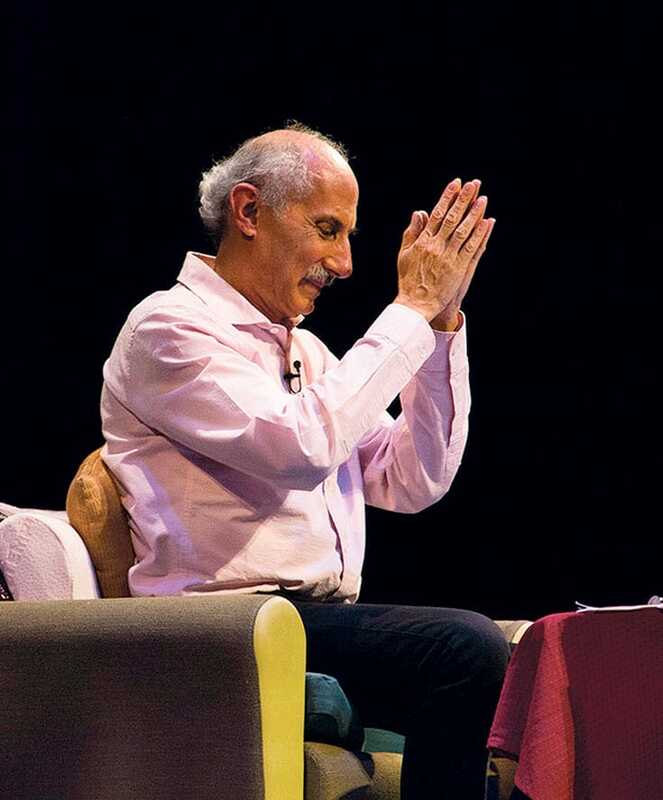 What the dharma offers us is the possibility of freedom: to make a choice, to forgive and let go, to express our gifts, to speak our truth, to dance our dance, to bring our joy into the world. You can move through the world with the gifts of goodness, joy, and freedom you were given at birth, with tenderness and compassion for yourself and all of life. What a marvelous way to live in this world, and what a marvelous legacy to leave it!